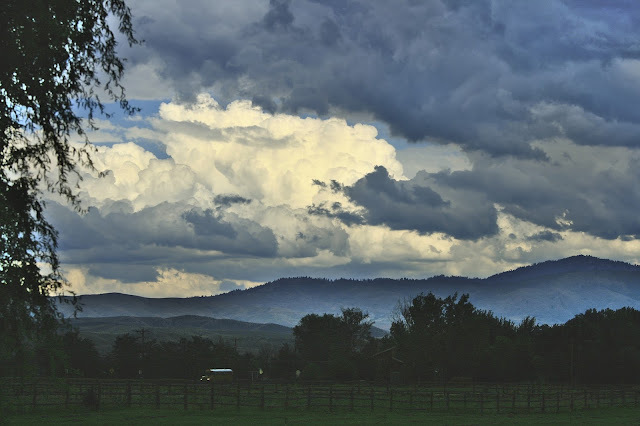 Photo of late summer storm clouds gathering over Shafer Butte, Mores Mountain, and parts of the Boise National Forest, as a school bus winds its way down a country road in Eagle, Idaho. 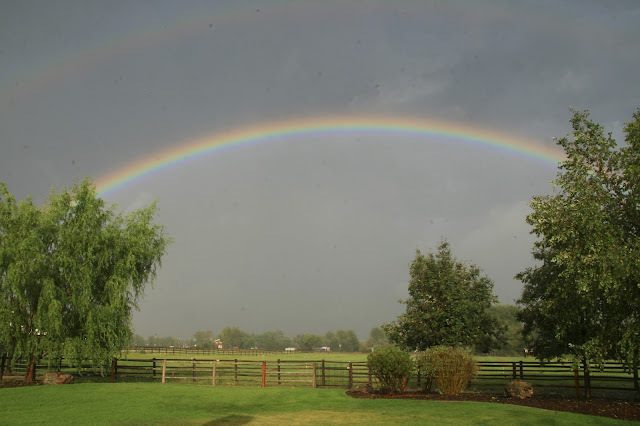 Photo of a double rainbow after a late summer thunderstorm in Eagle, Idaho. 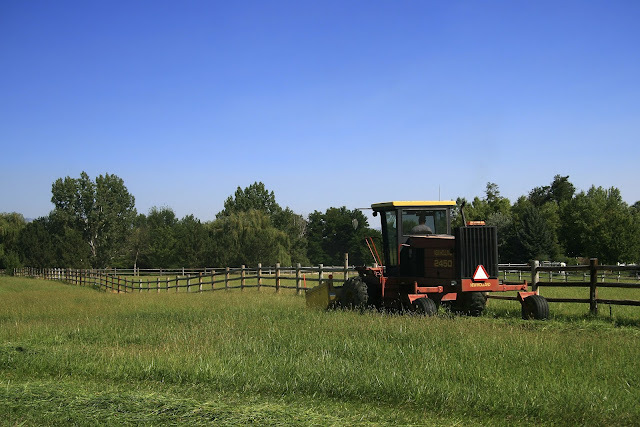 Photo of hay being cut in Eagle, Idaho.